Tuesday turned out to be a busy day as MLB keeps winning!!! Tuesday turned out to be a busy day going 1-0 in MLB, 1-1 in the NBA and 0-2 in the NHL. In MLB we had the Dodgers +109. It was also a big move game and by game time the dodgers were favored by -118. The game won 6-0! Our other 2 one unit plays were in the NHL and both lost. Florida +127 lost 3-4 in a shootout and Carolina +121 lost 2-3. 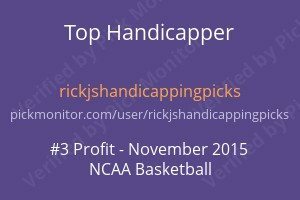 We also had two 1/2 unit plays in the NBA which split. Washington +6.5 won 96-91 and Denver +5 lost 87-97. So far today we have 4 one unit plays pending. In addition, most likely there will be a play or two in the NBA tonight. I know I mentioned this before but the NHL should be considered very similar to MLB as far as the way the season goes. Moneyline sports have a different feel to the season then spread sports. Take that into account when your bet sizing. I received a few emails last night about whether I will be running any specials anytime soon. I do not plan on it. 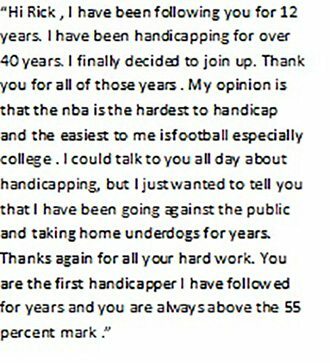 I have a nice base of bettors now that are seasoned to where they know what to expect by way of the ups and downs of betting. I certainly will welcome anyone else that wishes to join us but for now, specials are finished except for the PayPal options and the 3-day free trial.